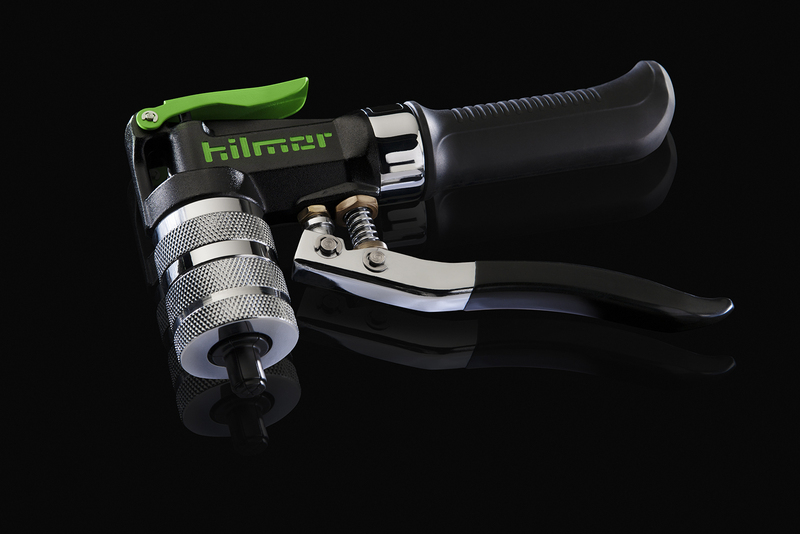 The hilmor Basic Flare kit has the no-muss, no-fuss tools to flare AND swage tubes in a variety of sizes. A cast steel yoke and hardened flaring bars provide durability; steel wing nuts offer a secure hold; and a long handle offers additional leverage. The small Basic Flare bar handles 1/8” to 7/16” tubes, while the large Basic Flare bar helps you take on 1/2” to 3/4” tubes. Swage head attachments for sizes 1/8” to 3/4” make an entirely new tool for tube working. The cast steel yoke and hardened flaring bars are made to be knocked around. Steel wing nuts make it easy to securely hold tube. An extra long handle provides more leverage and self centers for a consistent quality flare. Product Name Basic Flare/Swage Kit 3/16" to 3/4"
Product Sizes 1/8", 3/16", 1/4", 5/16", 3/8", 1/2", 5/8", 3/4"
Product Dimensions Length: 13", Width: 9", Height: 2.25", Weight: 5 lbs.